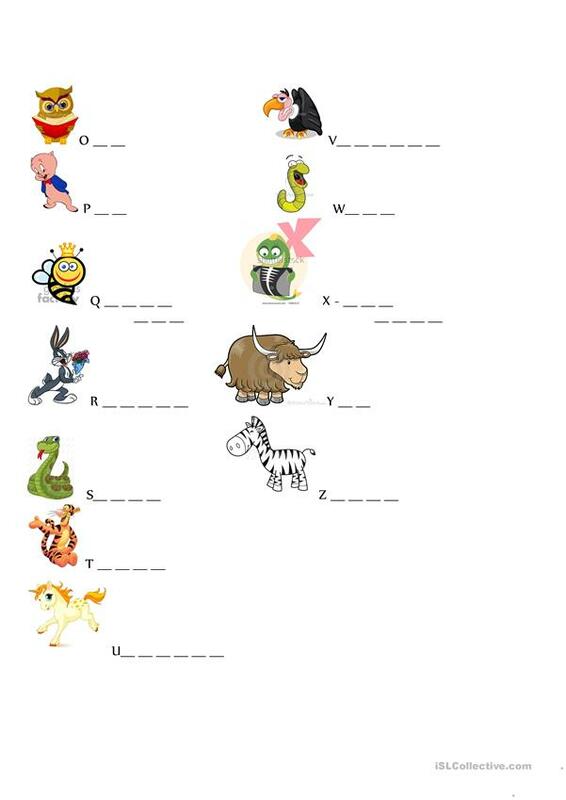 exercise sheet connecting animals and the alphabet! It can be used as a hangman game! This downloadable handout is recommended for elementary school students at Beginner (pre-A1) level. It is useful for improving your pupils' Writing skills. It features the topic and words of Alphabet. A student who loves to write.